Shorty Lungkada Tjungurrayi joined the Western desert movement in 1972. He was not one of the founding members but the bold visual simplicity of his artistic compositions conveyed an elemental power that rapidly made him an important member. 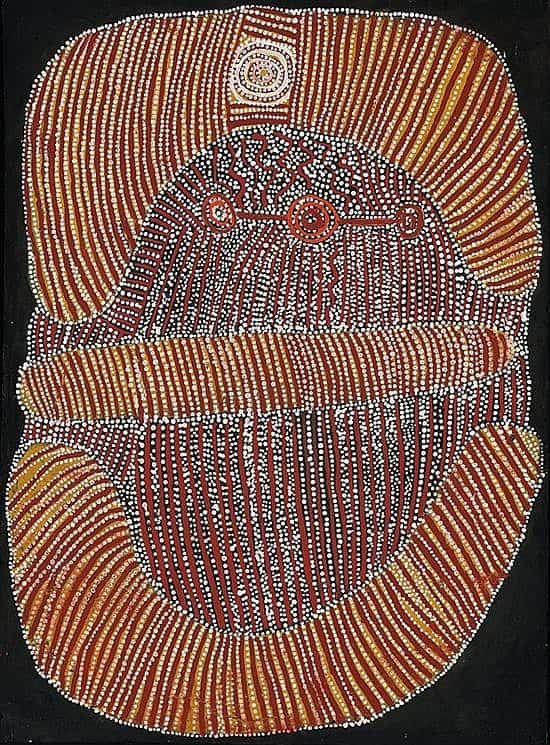 Shorty Lungkada Tjungurrayi greatest works were created when the market demand for Western Desert art was very limited. 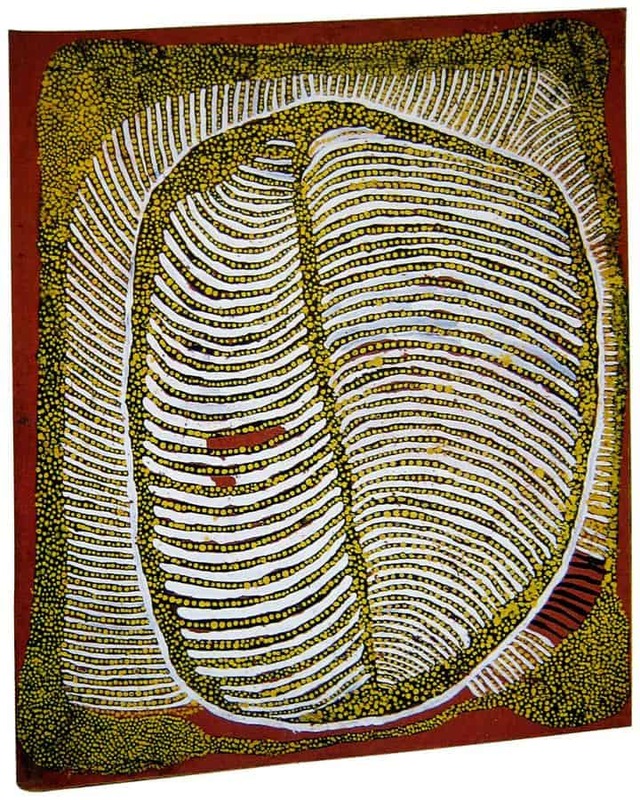 Lungkata’s significance as an artist should not be underestimated by the relative scarcity of his work. 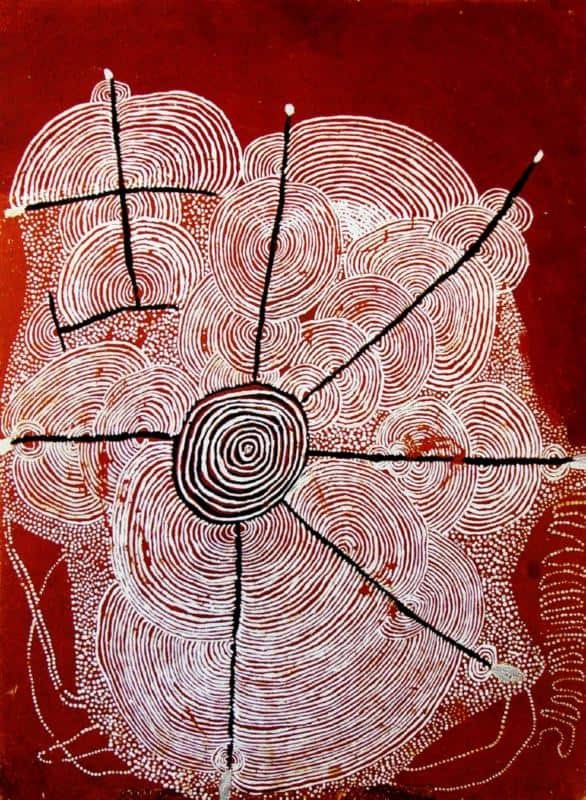 The aim of this article is to assist readers in identifying if their Aboriginal painting is by Shorty Lungkada Tjungurrayi. It compares examples of his work. It also gives some background to the life of this fascinating artist. 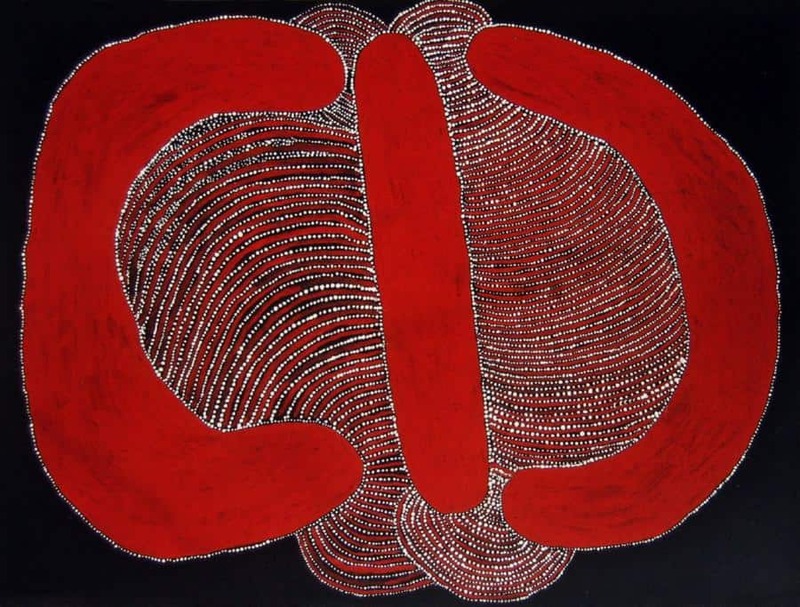 If you have a Shorty Lungkada Tjungurrayi Aboriginal painting to sell please contact me. If you want to know what your Shorty Lungkada Tjungurrayi painting is worth please feel free to send me a Jpeg. I would love to see it. Shorty Lungkada Tjungurrayi was born in Walukuritji around 1920. He lived a traditional nomadic hunter-gather lifestyle until his 30’s when he moved to Hassts Bluff. He was already fully initiated and a respected witch doctor Ngankari. Shorty Lungkada was also a renowned hunter, dancer and respected tribal leader of the Pintupi people. Lungkada was a forceful advocate for his people and more than once would proclaim his rights in a dance with spears in front of a large crowd. In the early 1980’s Lungkada moved from Papunya to help and set up the outstations of Kintore and then Kiwirrkura. He was an assertive leader in the ‘outstation movement’. His tribal name Lungkada also has various spellings including Lungkarta Tjungurrayi, Lungkarda Tjungurrayi or Lungkata Tjungurrayi.